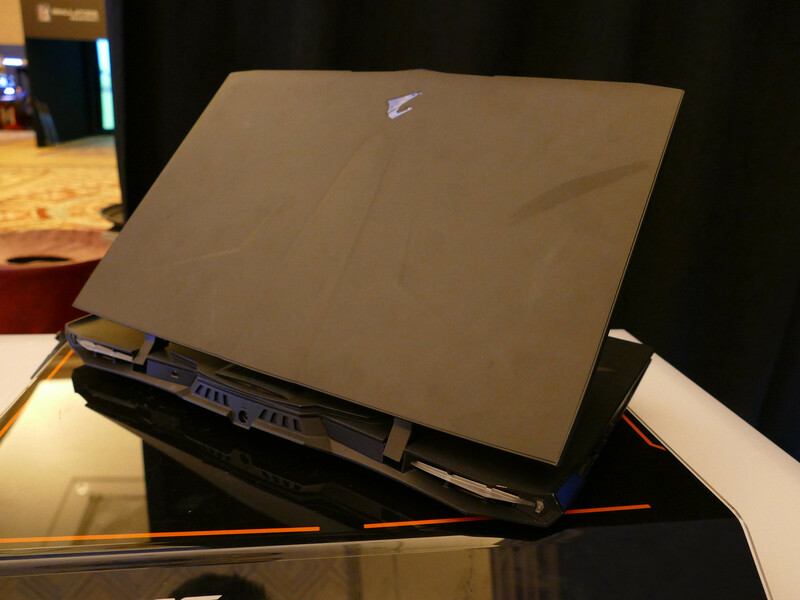 With only one hour of battery life and dual Nvidia GTX 1070s, the Aorus X9 should really be considered a foldable desktop rather than a gaming laptop. But, holy hell, is it powerful. It may have some design shortcomings, and the Aorus X9 certainly isn't cheap, but the power of two graphics cards in a fairly slim gaming laptop is an appealing prospect. Aorus' new 17-inch gaming flagship is powerful, solidly built, overflowing with RGB bling, and slim given its dual GTX 1070 setup. Just mind the very brief battery life, and the usual shortcomings of SLI that might make a single GTX 1080 design a better bet. With a winning combination of a 4K display, mechanized keyboard and solid performance, the Gigatyte Aorus X9 is almost-certainly going to be the gaming laptop you’ll wish you had. Bottom line: enthusiast gamers willing to tolerate the foibles of SLI may be inclined to take a gamble with the X9, for everyone else, the sleeker, lighter and better equipped X7 v7 remains the safer bet. The Aorus X9 is a stunning machine and embodies the Aorus brand perfectly. The company surely won’t sell many, but as a so-called ‘halo’ product that influences future, more affordable Aorus laptops, it’s brilliant. I’d go as far to say that it ties with the Asus ROG Zephyrus as the most technically impressive laptop at Computex 2017. It bears the supercar design hallmarks of a lot of portable gaming machines, from the brushed, sweeping curves to the trimmed, carefully cut exhaust vents on top and bottom. It's fitting, because you can look at this sort of computational overkill like you would a performance vehicle. Your average person may not need it, or even know how to use it. But damn, do they want it. Dos GTX 1070 de gama alta en combinación SLI. El rendimiento 3D depende del soporte para el juego y puede ser de 0 - 90% más veloz que una GTX 1070 individual. GIGABYTE Technology es un fabricante de hardware informático con sede en Taiwán muy conocido por sus placas base. Fundado en 1986, sus mayores clientes incluyen fabricantes de PC personalizados como Alienware. Entre las líneas secundarias del catalogo del producto se incluyen PC's completos, portátiles, unidades ópticas, monitores LCD, teclados, ratones, componentes de refrigeración, teléfonos móviles y productos de telefonía móvil de gama alta (teléfonos PDA, teléfonos TV, etc...), equipamiento de red, abastecedores de corriente, y una línea de barebones de tamaño mini y completo en carcasas ATX. Los portátiles Gigabyte son raros y la cuota de mercado global baja.